Domen has been addicted to challenging adventures and endless curiosity-driven exploration since his early teens. His travels took him from hitchhiking and cycling across most of Europe to jungle trekking and discovering ancient ruins in Central America and Southeast Asia. Taking his years-long experience as a Scout leader into account, Domen’s guiding skills span the whole gamut from bushcraft to a detailed knowledge of cultural anthropology and the humanities. 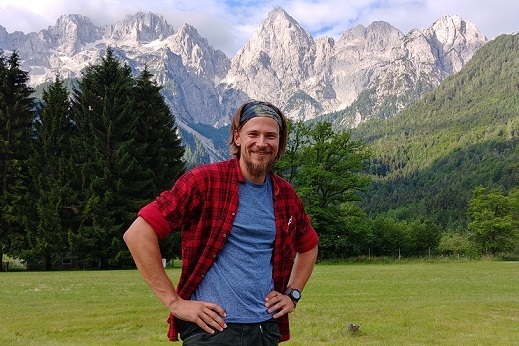 His adventurous spirit is spiced with a degree in Russian studies and a master’s in cultural anthropology, so whether it’s hiking, mountaineering or simply discussing mind-boggling cultural phenomena, Domen is a great companion if you want to explore and learn about Slovenia, Croatia and the neighboring countries.